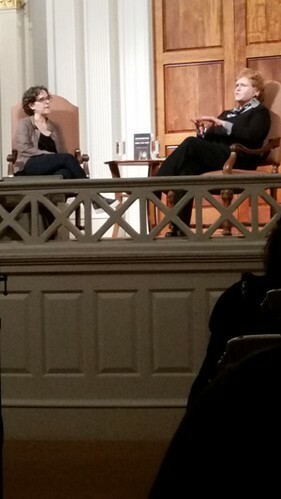 The lower half of the sanctuary was filled on Tuesday evening as readers stepped into Sixth & I Historic Synagogue from the rain to hear Deborah Lipstadt talk about her new book, Antisemitism: Here and Now. In conversation with Sixth & I’s senior rabbi, Shira Stutman, Lipdstadt touched upon the long provenance of antisemitism, which found its way into Christianity’s earliest texts, to more modern interpretations. 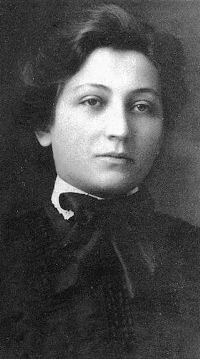 But much of this established hatred, she assessed, remains rooted in conspiracy theories about Jews controlling the world. Deborah Lipstadt, a Holocaust historian currently teaching at Emory University in Atlanta, Ga., is perhaps best well known for her brush with David Irving, who sued her for libel in the UK for calling him a Holocaust denier. That experience led to her 2005 book, History on Trial: My Day in Court with a Holocaust Denier, and a 2016 movie starring Rachel Weisz. Her most recent book centers upon the conceit that she is addressing two individuals about antisemitism today—a Jewish student and a non-Jewish colleague. But the issues raised are based on real interactions, Lipdstadt asserts. The book cover focuses on the tiki torches wielded by white supremacists at a 2017 rally who, among other things, shouted antisemitic slurs. Then, when advance copies of the book were circulating, a white nationalist committed a massacre at a synagogue, in the largest single instance of violence against Jews on American soil. Lipstadt described white nationalists of the far right believing in age-worn conspiracy theories about Jews controlling the world and working with Blacks to destroy the white race. Liberal billionaire George Soros, Lipstadt says, has emerged as the 21st century version of the Rothschilds. On the other side of the political spectrum, some voices on the left see things through a particular prism of race and class. Since American Jews are seen as wealthy and white, the claim goes, they can’t actually be discriminated against. And any attempt to challenge this must be a cover up for something else. The relation to right-wing conspiracy theories grows starker in the midst of recent firestorm over Democratic Representative Ilhan Omar leaning into the notion that a Jewish lobby controls the government through money. Lipstadt made it clear, in a 15-minute q&a session with the audience, that she wasn’t calling out specific leaders as antisemites. But giving voice to these conspiracy theories has broader repercussions, as the Tree of Life Synagogue proved. Lipstadt also touched upon BDS and a “myopic” focus on Israel’s faults, and she shared personal anecdotes, like a neighbor trying to get her daughter to come to terms with the fact that their shul needs police protection. The problem with antisemitism, Lipstadt says, is the problem with most conspiracy theories. It is illogical, and attempts to counter it with facts only feeds into the narrative. But the Holocaust historian also urged the audience not to give into despair. Before giving way to the signing portion of the evening she talked about the last chapter in her book: “Oy versus Joy.” In this epistle to reject victimhood, Lipstadt hopes we take pride in our heritage and what we’ve given the world. To purchase a copy of Lake Success (and support your local indie! ), click here. And you can find similar coverage of my attended literary events under the Books, Plays, Movies and Music tab! Ten years ago in the summer, I had the idea that since I was attending a significant number of local Jewish events, I should do something with that. I was also fresh off of my journalism degree and I liked to write, and thus JewishDC was born! Things have changed a little bit in the interim. Some organizations have come and gone. Just recently the (now named) Edlavitch Jewish Community Center announced that it’s doing away with it’s old, multiple festivals and creating a whole new huge one. So much to choose from, so little time! I used to post weekly events updates, but now I leave most promotion to organizational twitters (you can see my aggregated list in the sidebar!) and the awesome GatherDC. I’m not really so much of a community organizer as I am one Jewish DCer, whose tastes have likely changed a bit from her twenties and into her thirties, documenting events I attend in the Greater Washington Area. For example, I now also look at our local indie bookstores, as well as Jewish institutions, when an author of the tribe comes into town! You can find compiled lists of my reviews of literary, music, film and theater events here and here. I’m also thinking of making a new page for religious content. 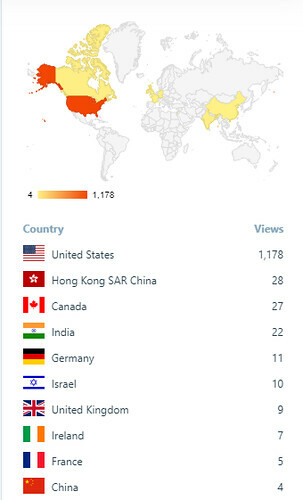 But for now I thought I’d go into my stats page and list my top ten review posts from 2009 to today. I’m so glad that I started this project, that I have records of all these great events. And I can share what an inspiring town this is for celebrating Jewish culture! Happy new year, everyone, and may 2019 be great for Jews in DC. The winter holidays are upon us, and Chanukah is on the early side this year! The holiday begins on the evening of December 2 and it lasts until December 9. 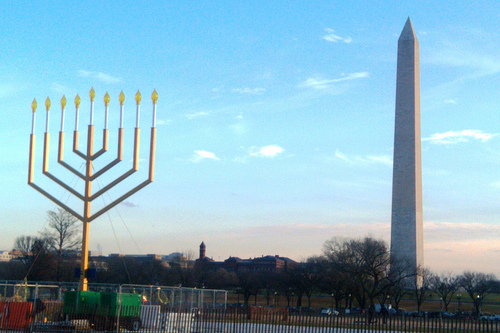 It’s almost time to fry those latkes and kindle the menorah lights! Check out these local events happening around town, and feel free to add more in the comments. Chag Sameach! Etsy in real life, plus other fun things! 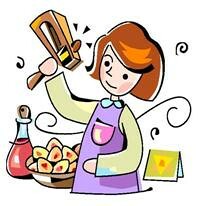 Children’s crafting event for the holiday! 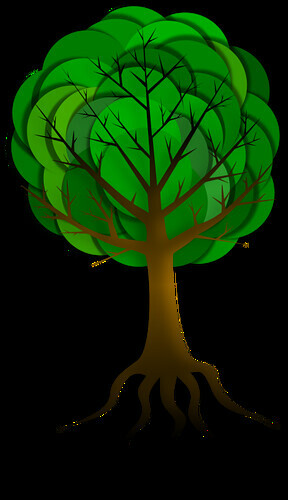 Family fun event with a focus on interfaith families! Candle lighting, holiday food, story time and crafts! Light candles, sing songs, enjoy entertainment! Annual young adult soiree with an ‘80s/’90s theme, drinks, food specials and surprises. Plus a clothing drive! Not entirely Chanukah-related, but the 10th annual presentation of autobiographical stories from Story District. 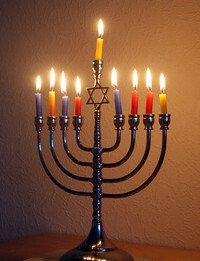 Celebrate the holiday with the LGBTQ Jewish community! Morning workshops on various aspects of Jewish education around the holiday. Despite the first snow and sleet of the season, a full house of Washingtonians gathered at Bethesda Row Cinema last Thursday night for a showing of the Israeli film Red Cow. The movie was aired as part of the Edlavitch Jewish Community Center’s Washington Jewish Film Festival Year-Round Program. It was co-presented by Tagg Magazine and Reel Affirmations. “Red Cow” (or “Para Aduma” in Hebrew) is named for the biblically heralded red heifer which portends a return to Jewish temple worship in the Holy Land. The movie opens when a fundamentalist religious group finds a cow that fits that description and assigns main character, Benny (Avigayil Koevary) with taking care of her. Like most foreign films, at least in my limited experience, this hour and a half long feature is a very minimalist affair. Though Yehoshua quotes Scripture and argues with other religious men about politics, he never has a speech where he declares “Welcome to my compound! Here are the rules!” Deference from other characters points him as the leader, and he seems to be in charge of a school for girls. Otherwise, Benny spends her time praying with him when he can’t find a minyan and grabbing him from an ancient mikveh late at night. The East Jerusalem landscape feels larger than life with its expansive views of ancient structures and roadways, and its audio populated by the muzzein and quickly chanted Hebrew prayer. Certainly lends to the air of conflict, as does Yehoshua trying to force entrance into the Temple Mount on Yom Kippur, and speaking blithely about destroying the Dome of the Rock and the people who must die to bring about his fundamentalist utopia. But it’s such a personal story without any real threat that the man mostly comes off as cold, sad and awkward as his daughter’s indiscretions come to light. Again, it’s more about what he intuits from interpersonal scenes than any big revelations. Benny and Yael’s love affair is fast and viscerally shot. The relationship carries no dramatic climax cast to a cinematic score. One might even say that Benny’s relationship with the young cow brings more emotional gravitas. But the question of who she really is remains at the forefront of her troubled existence, even when the final scene takes her to the secular world. 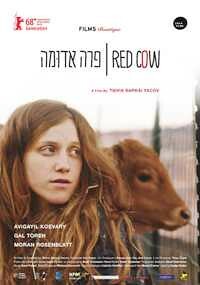 Red Cow was nominated this year for 4 Ophirs (the Israeli Oscars) and it won for best feature and best actress for Avigayil Kovary. It is also Tsivia Barkai Yacov’s directorial debut, and is just recently making its rounds in the United States. Click here for more information. And you can find my similar content and movie reviews under the Books, Plays, Music and Movies tab!